Let me tell you, it was super easy for me to get to the city! There are usually 3 options to get to the city: Bus (approx.4 Euro – one way) which leaves almost every hour from 6am – 8pm, Shuttle bus service from GoOpti (approx.9 Euro – one way), and Taxi with a fixed price 30 Euro. Ljubljana is a small capital city, literally. Many hotels are located inside “the old town”. Hence you can stop worrying about the distance from your hotel to a tourist attraction! Choose your hotel which located along Slovenska cesta or Miklošičeva cesta, because these 2 streets are located next to the center of the old town, and therefore less noise at night. 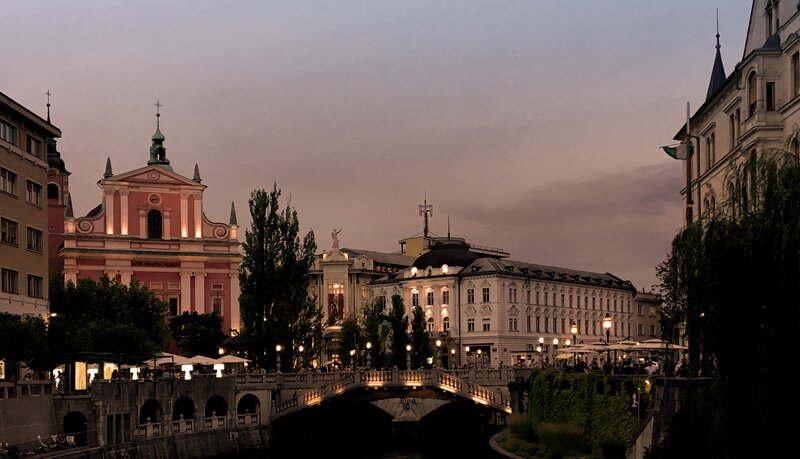 Try not to choose a hotel which located on the street along the Ljubljanica river, because your room could be noisy during the night. 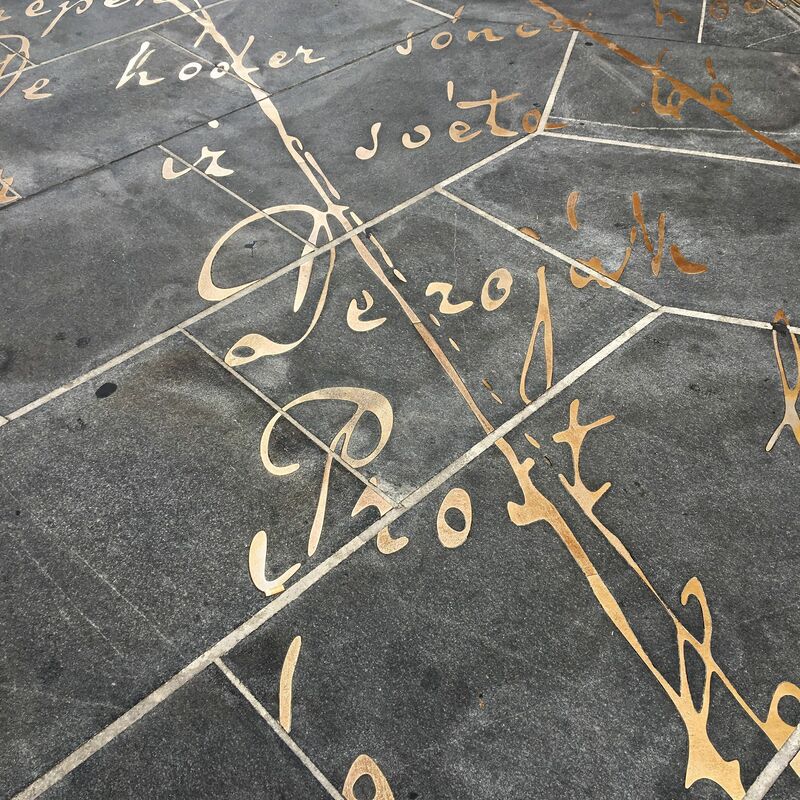 * * FYI, I blogged this travel log for my summer trip. If you visited the city in winter, it could be different! Literally, you could see most of places in one single day, if you started your day around 10 am…..With this advice, you could get beautiful photos of places or even selfies at no time, because the city isn’t too crowded around 10 am and the light is still nice and bright enough. You can simply start your walk at the Tromostovje or the Triple Bridge which is located at Prešernov trg a.k.a. Prešeren Square. Yeah you read it right…3 bridges…Interestingly it wasn’t 3 from the beginning. The first bridge was built in 1842 and 2 more had been added in 1931. These bridges are literally the entrance of the Ljubljana old town. 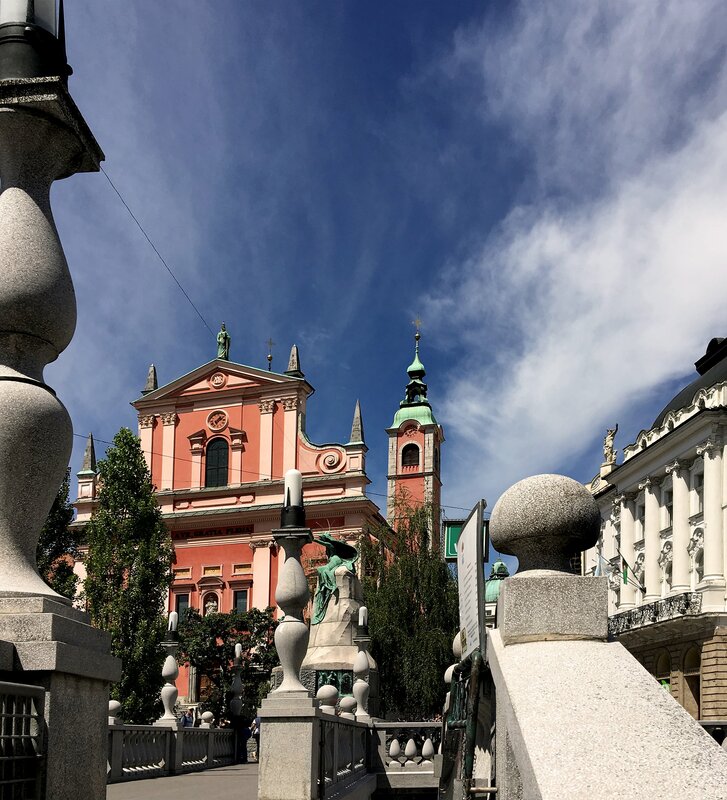 Right next to these beautiful bridges, you can easily see the beautiful Frančiškanska cerkev – Franciscan Church of the Annunciation, built with magnificent orangish pinkish-red façade in Baroque style. It’s considered as a famous landmark of the city. You cannot miss it…..Then you can just simply walk along the Ljubljanica river and enjoy the green scenery of the city down to Čevljarski most – Cobblers bridge where you can take a beautiful image of the old town with Frančiškanska cerkev and Tromostovje as your background….Here I can bet you…you would be really tempted to take a couple of selfies if you stood on this bridge! After snapping some photos and selfies, it’s time to walk up to Tromostovje or the Triple Bridge by starting at Cankarjevo Nabrezje, but I guess, it could be more than 30 minutes to finish this little distance, because along the Cankarjevo Nabrezje contains numbers of restaurants and cafés. 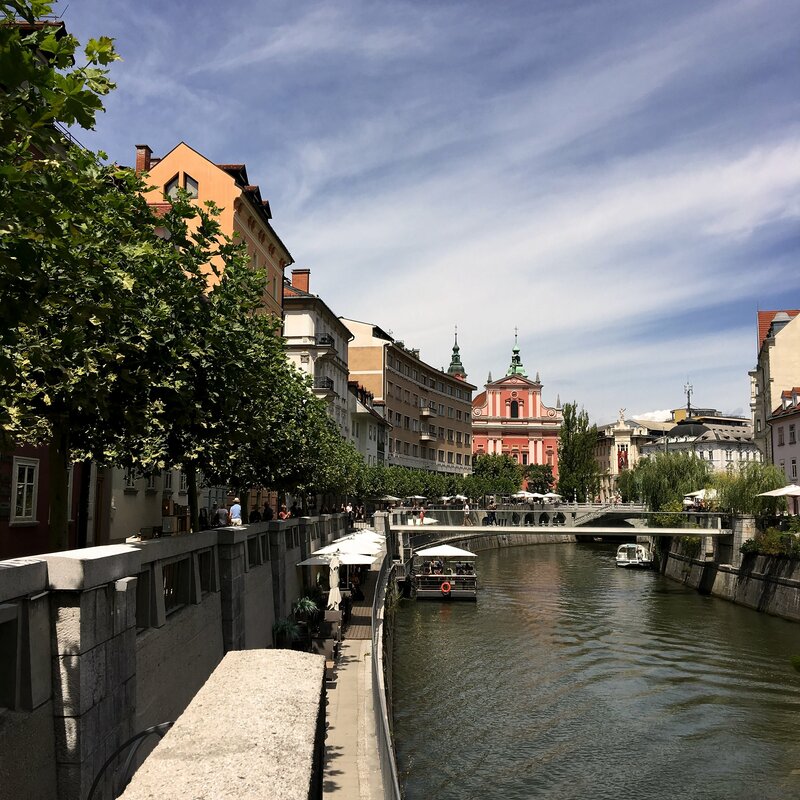 As for me, it was such a pleasant experience to sit by the Ljubljanica river and had a cup or two of coffee while enjoying the morning sunlight. 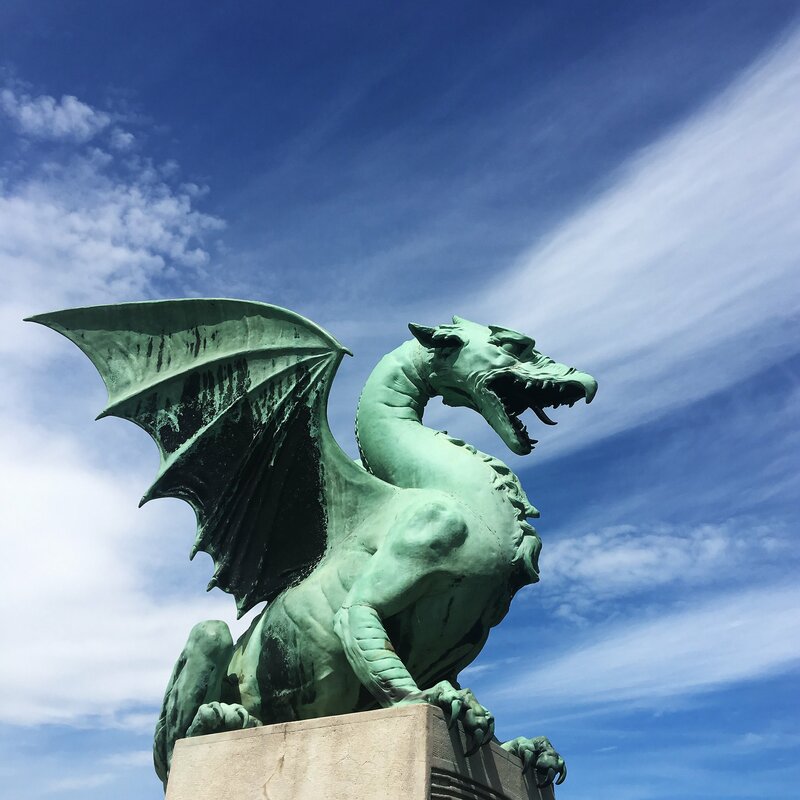 From this point you can walk to Plečnikove arkade where you can enjoy, again, food and drink….up to Mesarski most – Butchers’ Bridge and Zmajski most or the famous Dragon Bridge respectively. With this route, you can see most of tourist attractions in Ljbljana, except The Ljubljanski grad – Ljubljana Castle. If you like to see the bird eye view of the city, you will need to take a cable car and the station is located close to the Dragon Bridge. The ticket price for a round trip is 4 Euro (without museum pass). 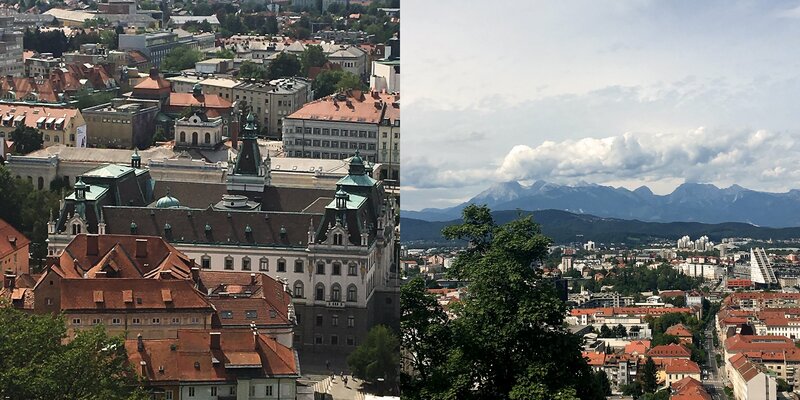 From my opinion, it was a nice experience to see Ljubljana from the top with a beautiful mountain view as a background. 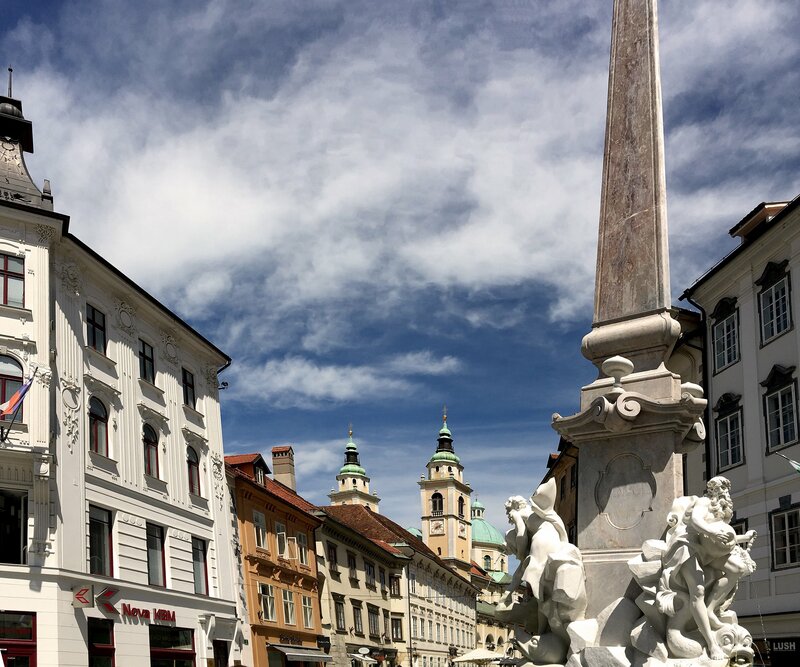 After visiting The Ljubljanski grad, you can have a little late lunch in the city. Optional you can walk towards the west to Tivoli park, if you feel like. It’s a nice and huge park on a hill! 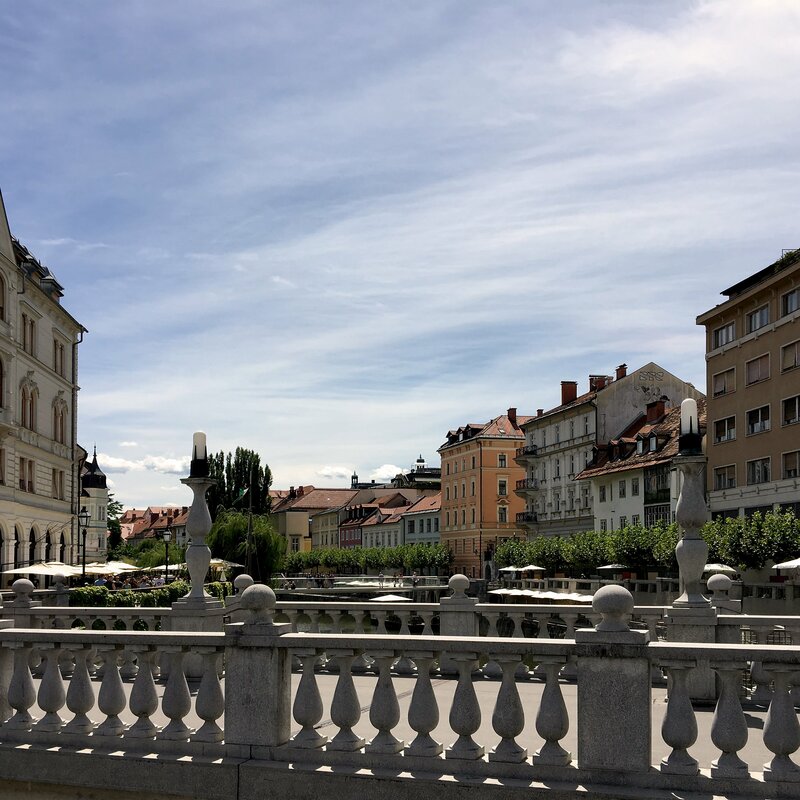 That’s it….Ljubljana is really a small city which can be seen within a day, but it’s really worth visiting. 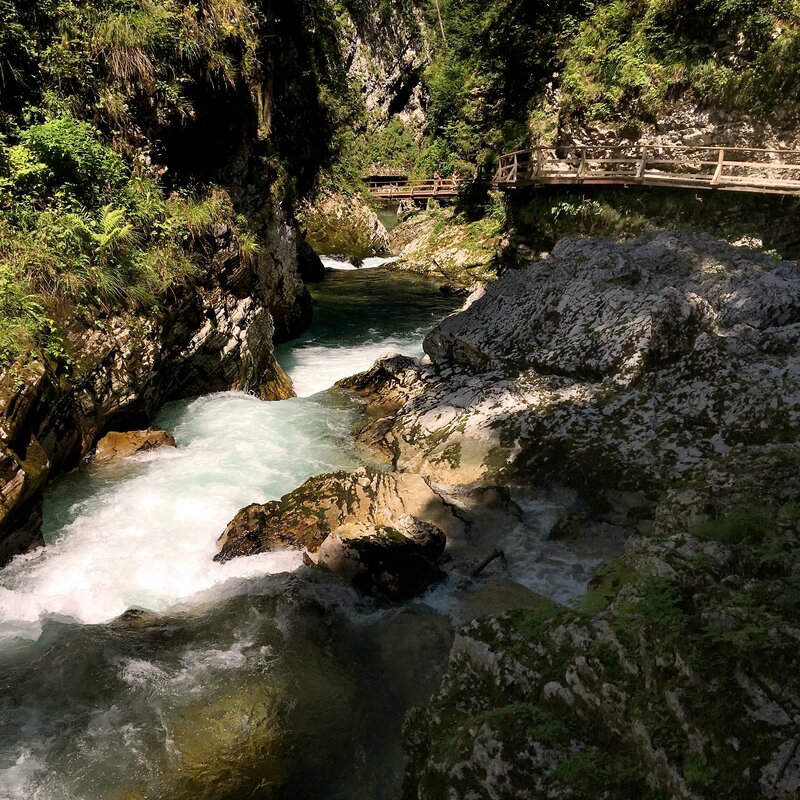 However, my trip wasn’t only visiting Ljubljana, but also Bled and Vintgar Gorge. 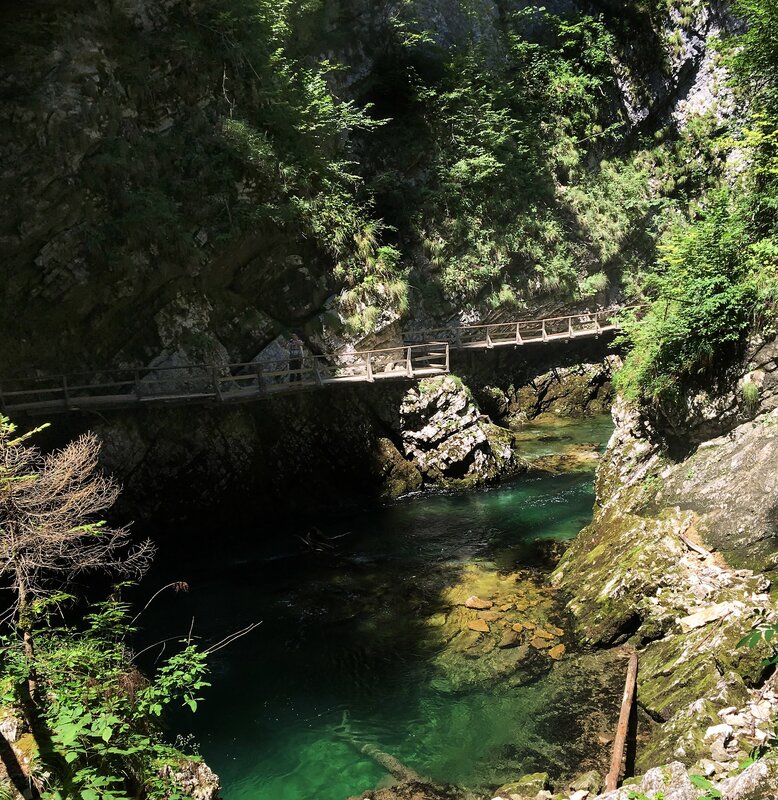 By the way, both Bled and Vintgar Gorge can also be a day trip as well. 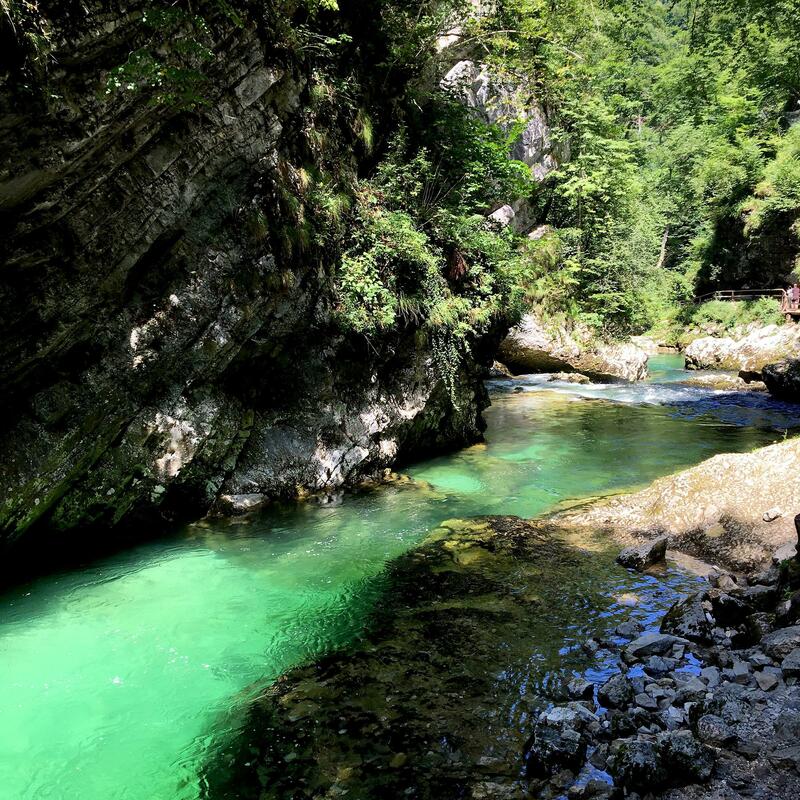 A tip before taking a train to Bled and Vintgar Gorge is…. don’t forget to bring enough drink and snack with you, because it wasn’t easy for me to find a convenience store along the way! I suggest you take a morning train from Ljubljana Main station to Bled Jezero via Jesenice. 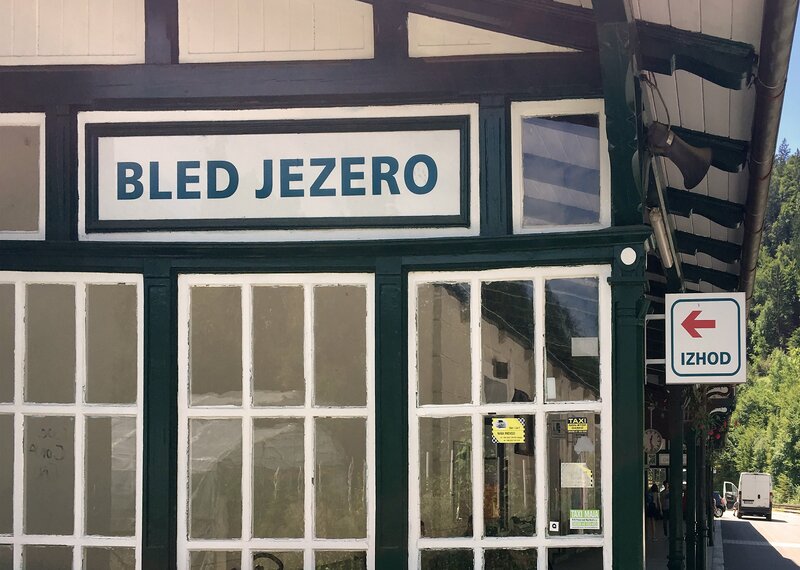 The ticket price from Ljubljana to Bled Jezero is around 7 or 8 Euro – One way. FYI… Don’t get out of the train at Lesce-Bled, because you see many tourists get out of the train…..Well, from Lesce-Bled, you can see the Church on the Island a.k.a. Pilgrimage Church of the Assumption of Maria from afar, and I guess, you don’t want that. 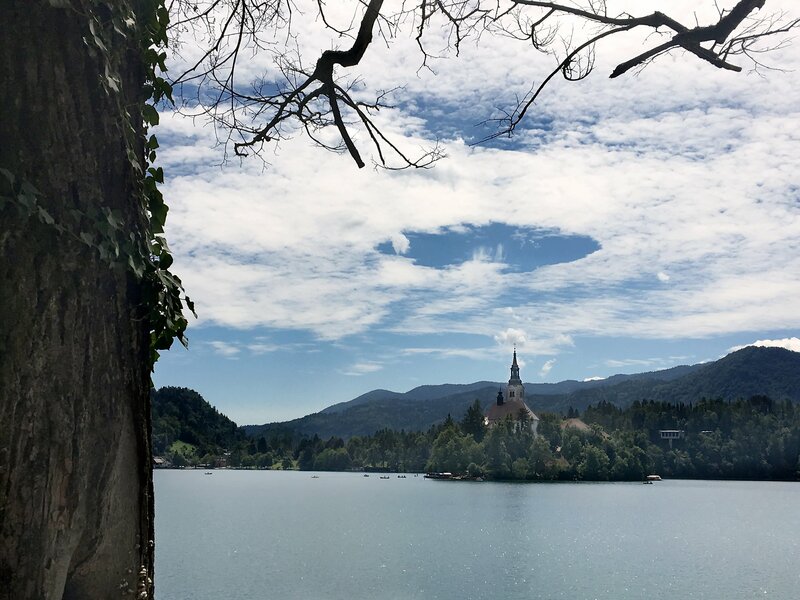 From Bled Jezero station, you can also get a spectacular panoramic view of the Lake Bled as you can see here. 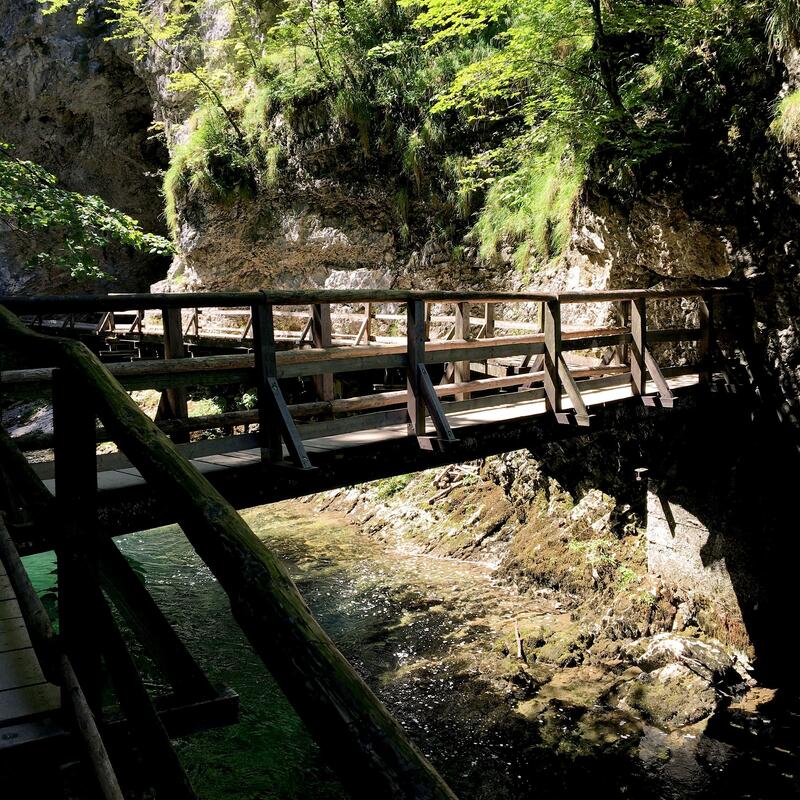 After walking around Lake Bled, you can take a train to Podhom to visit the natural wonder Vintgar Gorge. 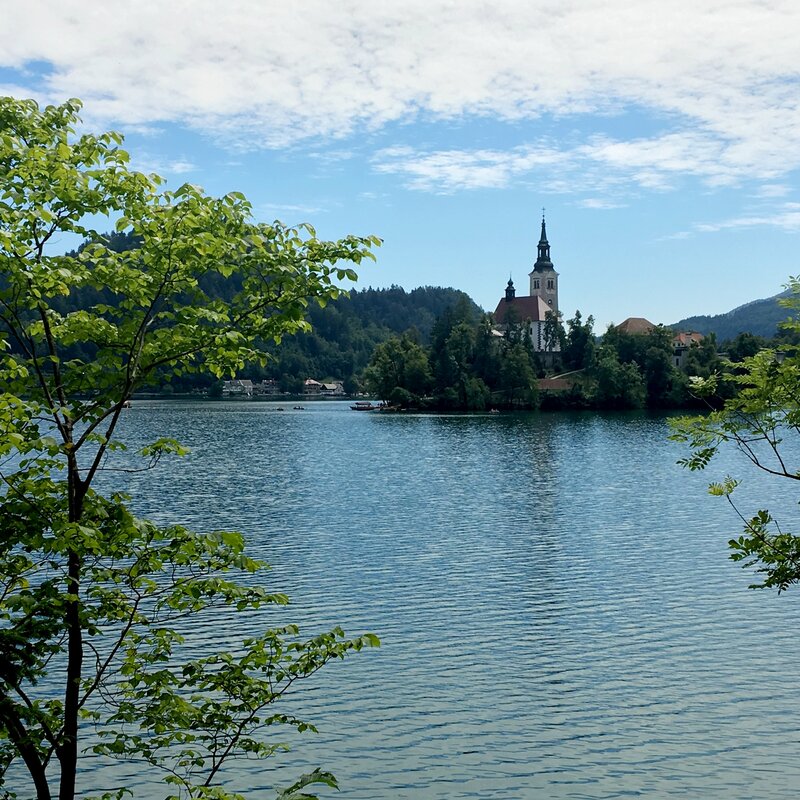 Podhom is located just a station away from Bled Jezero! Podhom station is a very small station which looks more or less like a bus stop. So…be alert when the train stops and don’t miss it! From Podhom, you just need to walk uphill to Vintgar Gorge across a beautiful field. The nature and mountain scenery could make you feel like you were Julie Andrews in The Sound of Music !! Vintgar Gorge is the continuation of the Radovna Valley. It is naturally made of natural sheer cliff walls and terraces carved by erosion. It is really a must to visit. 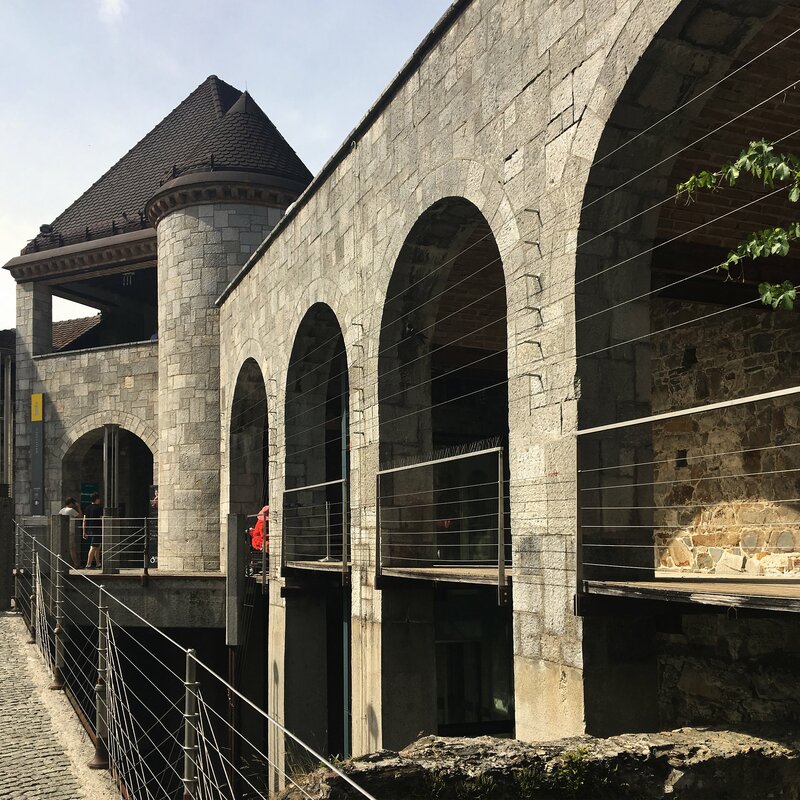 If you are a trekking fan, you will probably love this place like I do….FYI, the entrance fee is 5 Euro and it was worth every single cent and actually I could pay more in order to get in!! 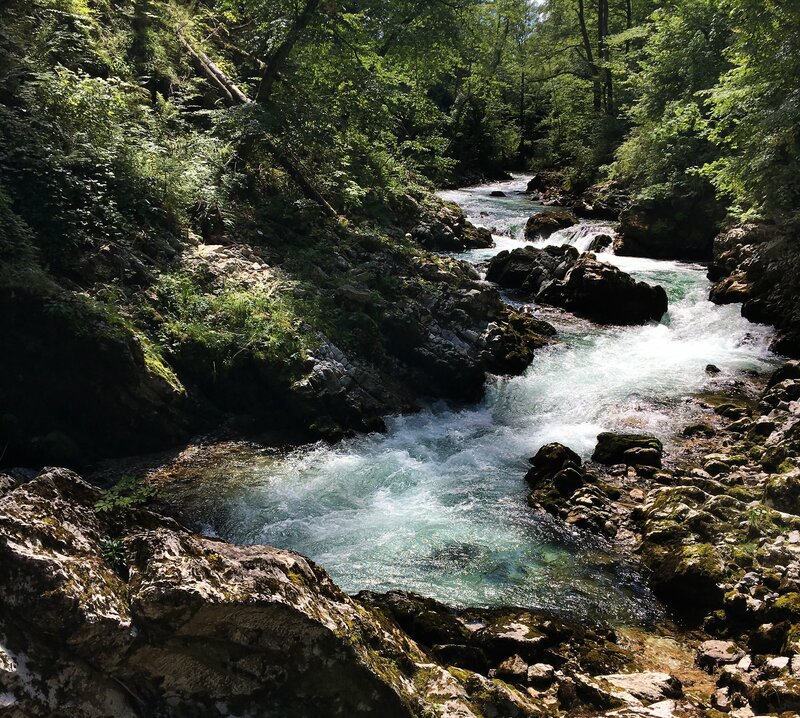 Here was my 3 days trip to Ljubljana, Bled and Vintgar Gorge. It was memorable and really worth visiting! 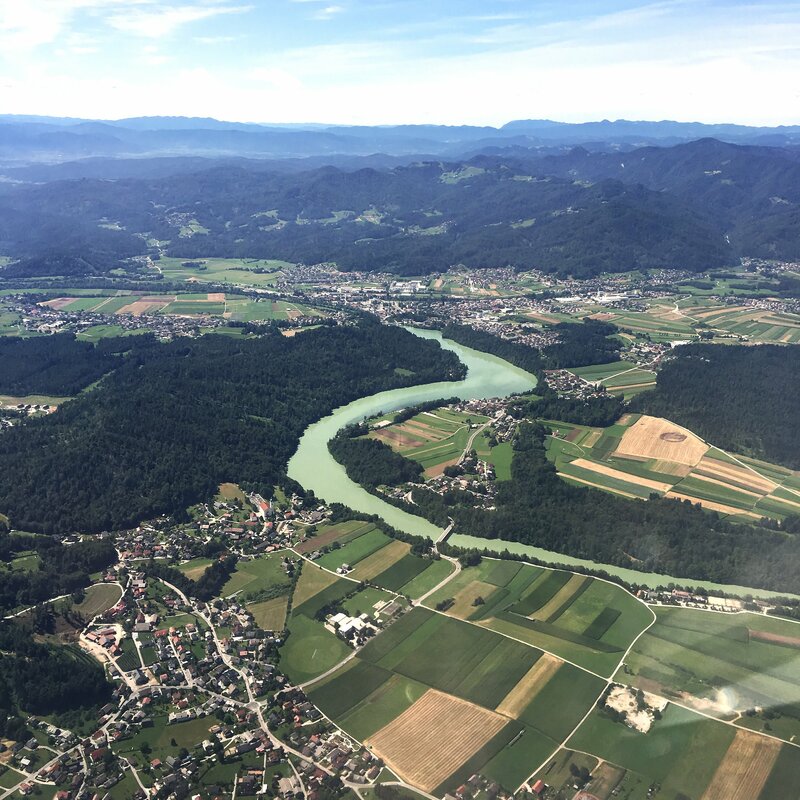 Slovenia is such a beautiful and green country!